On a damp autumn day, sixth grader, Katie, cringed at the sight of her dog Sadie, a Labrador-German Shepard mix, tracking mud into the house. She knew what came next: pulling out hoses, brushes and buckets, trying her best to dodge the muddy water Sadie would inevitably fling as she shook herself off, resulting in another messy cleaning episode. But, then an idea came to Katie… why not build a paw-washing machine? An upcoming science project gave her the opportunity to test her idea. The resulting prototype not only got her an “A” in her class, but led her to receive a patent for her Paw Wash product. 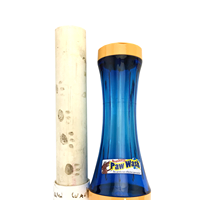 Today, Paw Wash provides pet owners with a proven way to eliminate muddy paw prints forever. 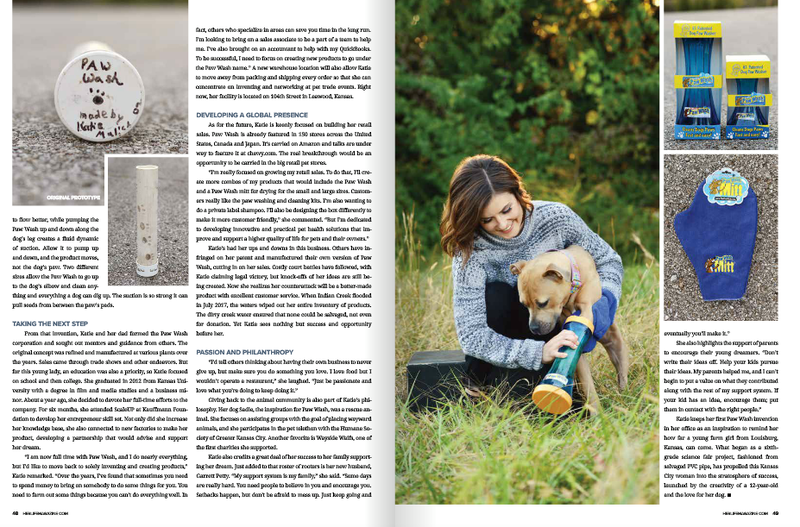 In 2018, The Paw Wash LLC has rebranded to Wild Heart allowing Katie and her team to expand upon just the Brushless Paw Wash products! Get ready for an entire new wild pet product line arriving this fall!